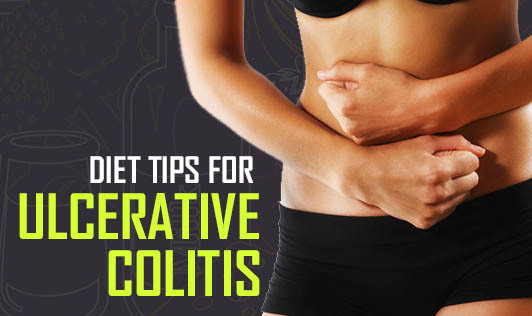 There's no firm evidence that what you eat actually causes inflammatory bowel disease. But certain foods and beverages can aggravate your signs and symptoms, especially during a flare-up in your condition. It's a good idea to try eliminating from your diet anything that seems to make your signs and symptoms worse. 1. Limit dairy products- Like milk, paneer, milkshakes, etc, as they can aggravate the loose motions. RESTRICT ONLY IF INTOLERATED. In such a case curd or buttermilk are better tolerated. a. If raw fruits and vegetables cause discomfort, try steaming, baking or stewing them. b. You may also find that you can tolerate some fruits and vegetables, but not others. c. In general, you may have more problems with foods in the cabbage family, such as broccoli and cauliflower, and with very crunchy foods such as raw apples and carrots. a. Eliminate any other foods that seem to make your symptoms worse. These may include "gassy" foods such as beans, cabbage and broccoli, raw fruit juices and fruits - especially citrus fruits, spicy food, popcorn, alcohol, caffeine, foods and drinks that contain caffeine such as chocolate and cola. a.You may find you feel better eating five or six small meals rather than two or three larger ones. 6. Try to drink plenty of fluids daily. Water is best. 7. Alcohol and beverages that contain caffeine stimulate your intestines and can make diarrhea worse, while carbonated drinks frequently produce gas.